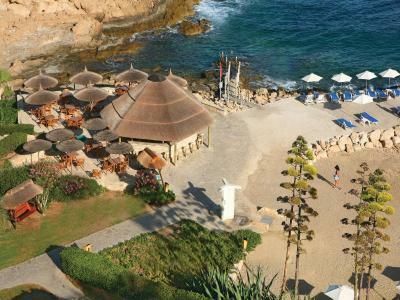 Lock in a great price for Cynthiana Beach Hotel – rated 8.6 by recent guests! The view was beautiful- a bonus to have both a pool and the sea for swimming. 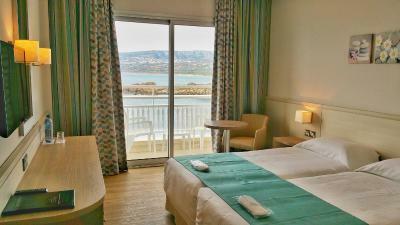 We enjoyed our stay at this beautiful hotel, the view from the balcony is indeed spectacular. 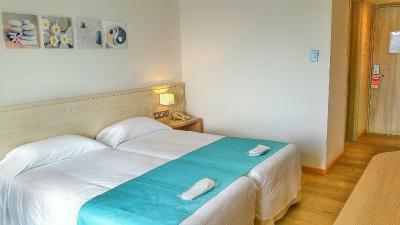 Nice staff , pretty clean rooms, many facilities. Very quiet ,loved the sound of the sea waves every night/morning :) Very nice and clean beach ! The food was very good and full of diversity . Recently renovated , Very good mattress for beds Nice view from apartment balcony Dinner was good for the price & no charge for toddlers. The location of Cynthiana Beach is marvellous - on a promontory overlooking a wide sea bay, easy to reach by car or bus actually. Not overlooked - wide sea view with waves tumbling over rocks. Safe natural sea pool to wade and swim in. 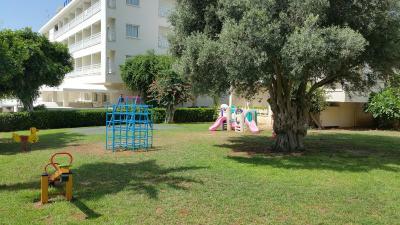 Hotel a short walk from the main road in Kissonerga, Paphos. The Buffet Breakfast was lovely and fresh, rooms all clean. Plenty of free parking. Good breakfast selection. 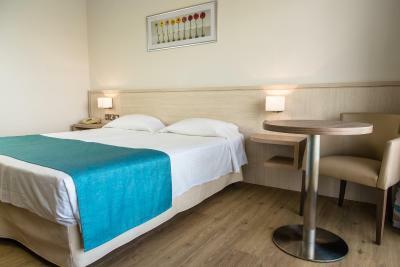 Clean rooms and friendly staff. Close access to the beach. Beach bar available. Helpful staff at reception. 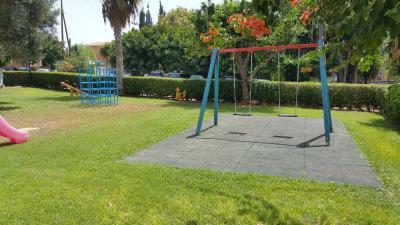 15 min by bus to coral bay beach. 6 min walk to bus stop. Will visit again. 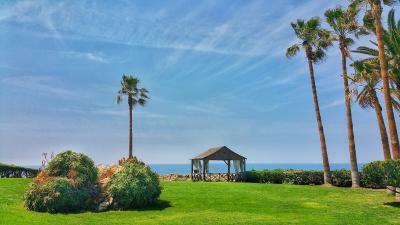 Great location with a private trail to the beach. Nice view from the room. Rich breakfast and a comfortable room. Very relaxing holiday. 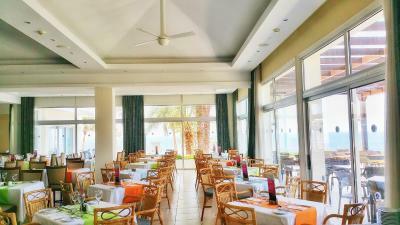 The staff and service all around were fantastic, food was good - both breakfast and dinner, and room and sea view were really great. 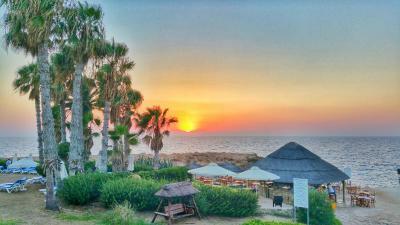 Cynthiana Beach is my preferred hotel in Paphos - this was my second stay and I'm sure I'll be visiting again in the future. 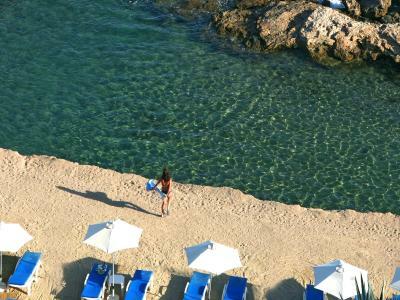 Good swimming in sea at hotel’s edge. Very wide selection at breakfast. Pleasant and helpful staff.Very good value. 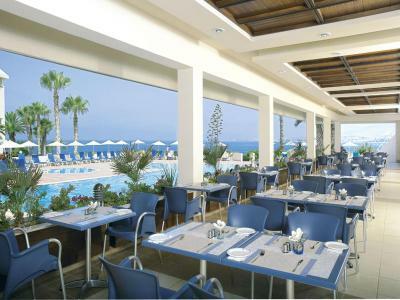 The hotel’s pool and restaurant overlook an incredibly scenic view of mountains/sea-that is the best in Paphos. Very pleasant staff. The swimming areas (climb down small ladder into the sea) are gorgeous. 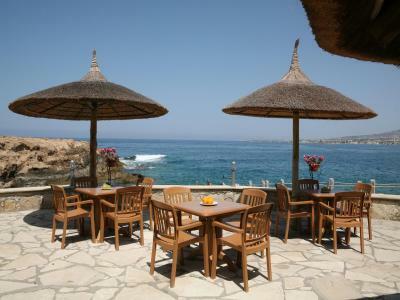 The view from the restaurant patio is one of the best,if not the best, in Paphos. 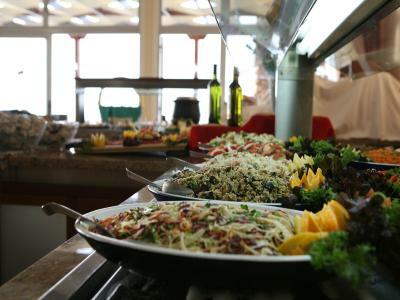 The breakfast buffet offered several healthy options( oatmeal,baked beans,fresh fruit cup) in addition to all the usual unhealthy choices. 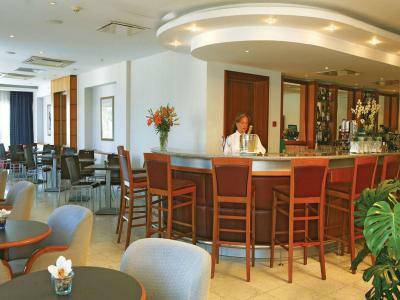 Cynthiana Beach Hotel This rating is a reflection of how the property compares to the industry standard when it comes to price, facilities and services available. It's based on a self-evaluation by the property. Use this rating to help choose your stay! 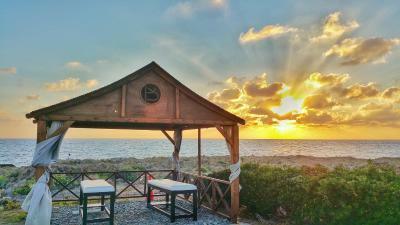 At one of the most unique and beautiful locations in Paphos, this popular yet peaceful hotel offers rocky and sandy beaches along with an long list of facilities and services. 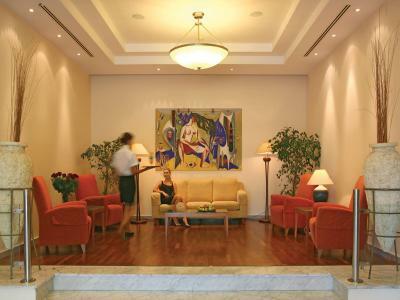 Planet Spa offers a variety of spa treatments. Free WiFi is provided throughout. 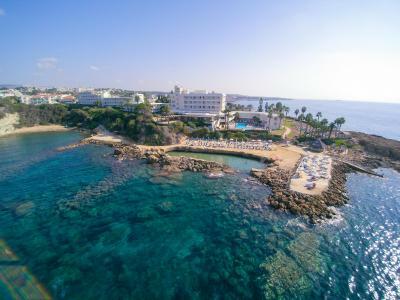 The family-run Cynthiana Beach Hotel is close to Kato Paphos with its picturesque fishing harbor, the medieval fort and some of the most fascinating ruins and archaeological sites on Cyprus. 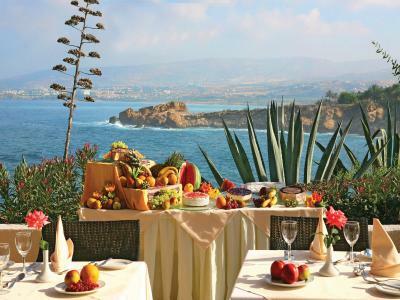 Lush vegetation with swaying palms and banana plantations are surrounding the hotel, and below every window, balcony or terrace lies the glittering Mediterranean Sea. 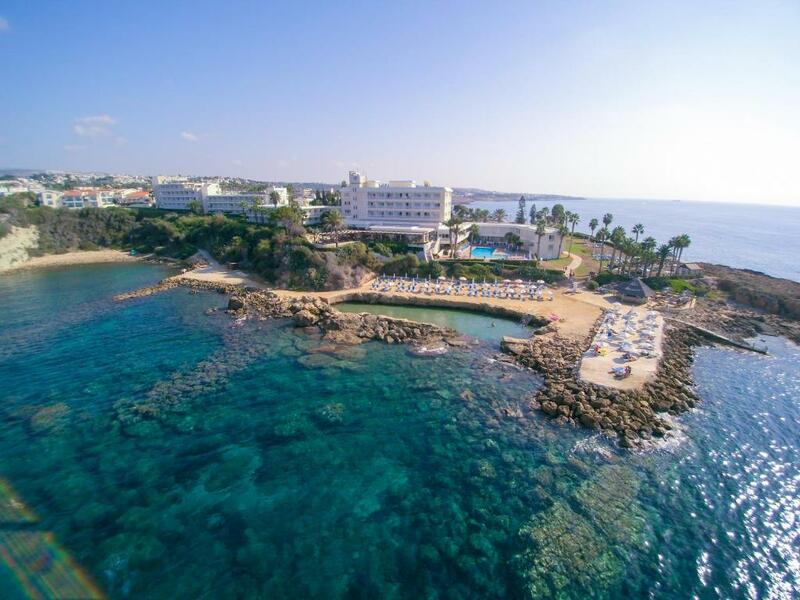 Being right on the sea, the Cynthiana offers the opportunity to do water sports such as diving and snorkeling, but also the hotel's indoor, outdoor and children's swimming pools are lovely places to have fun and cool off. 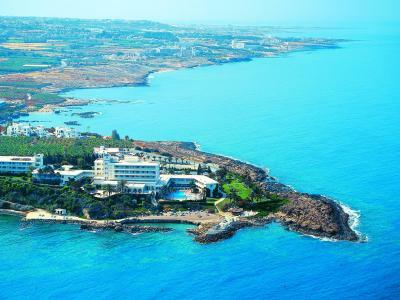 Akamas Peninsula is 24 mi away, while Paphos port is 5.6 mi away. 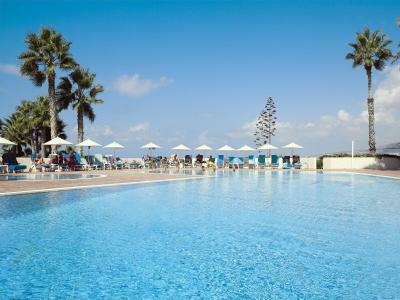 Paphos Airport is 12 mi away. 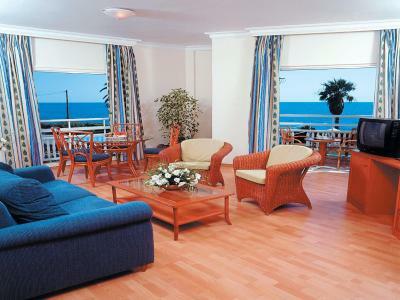 When would you like to stay at Cynthiana Beach Hotel? 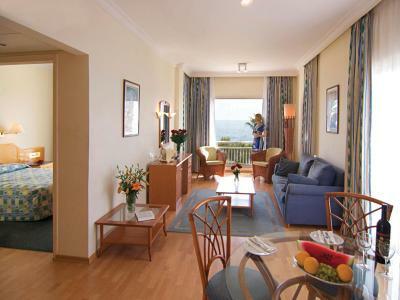 Located in a different block of the hotel, this air-conditioned room opens to a balcony with garden views. It comes with a 32" flat-screen TV. Safe-box, mini fridge and coffee/ tea facilities can be offered upon charge. 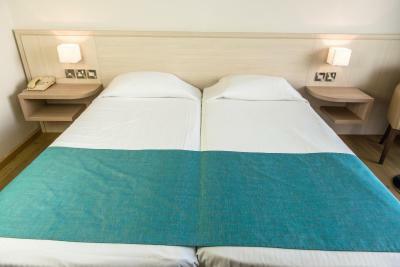 Please note that the maximum occupancy for this room type is 3 people and the 3rd person will be accommodated in a roll-away bed. 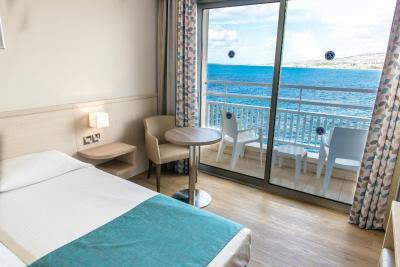 This air-conditioned room opens to a balcony with sea views. It comes with a 32" flat-screen TV. Safe-box, mini fridge and coffee/ tea facilities can be offered upon charge. 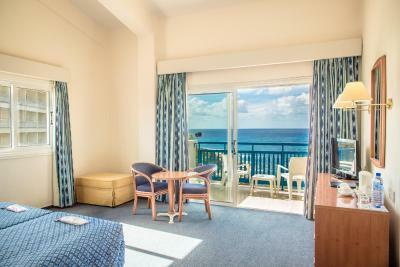 Offering sea views, this air-conditioned room opens to a balcony. It comes with a flat-screen TV and a mini fridge. Elegantly designed suite located around the main pool and consisting of of a separate bedroom, living room and a dining table. 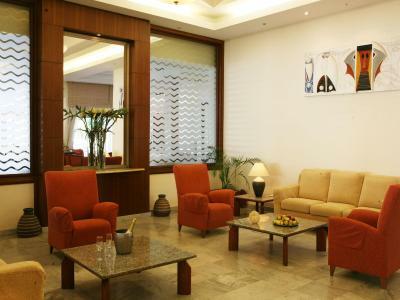 It comes with a 32" flat-screen TV, while a safe-box, mini fridge and coffee/ tea facilities can be offered. Please note that the maximum occupancy for this room type is 4 people and the 3rd and 4th person will be accommodated in a double sofa-bed. It comes with a 32" flat-screen TV. Safe-box, mini fridge and coffee/ tea facilities can be offered upon charge. Please note that the maximum occupancy for this room type is 4 people and the 2nd child will be accommodated in a roll-away bed. Please note that the maximum occupancy for this room type is 3 people and the child will be accommodated in a roll-away bed. Please note that the maximum occupancy for this room type is 4 people and children will be accommodated in a double sofa bed. 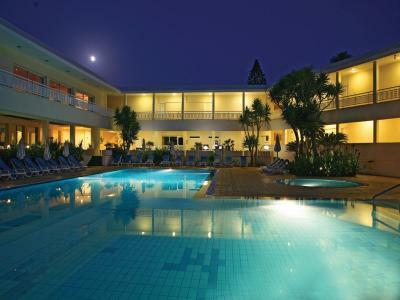 An exotic environment, offering piece and tranquility, surrounds the Cyprus hotel complex. 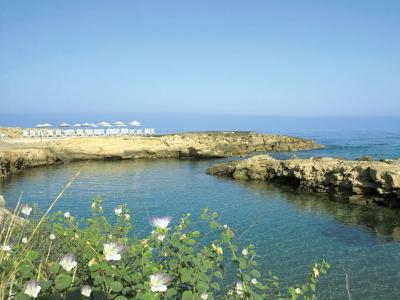 Lush vegetation, complete with swaying palms and banana plantations are the result of the mid-tropical climate that is unique to Cyprus. House Rules Cynthiana Beach Hotel takes special requests – add in the next step! 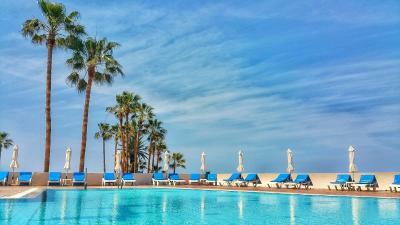 Cynthiana Beach Hotel accepts these cards and reserves the right to temporarily hold an amount prior to arrival. 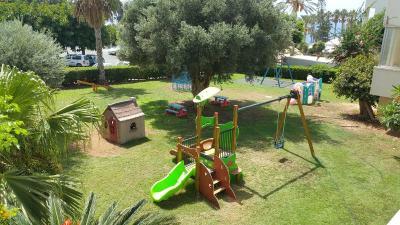 Please note that for children from 2 to 12 years old halfboard rate is EUR 7 and the all-inclusive rate is EUR 14. Please inform Cynthiana Beach Hotel of your expected arrival time in advance. You can use the Special Requests box when booking, or contact the property directly using the contact details in your confirmation. 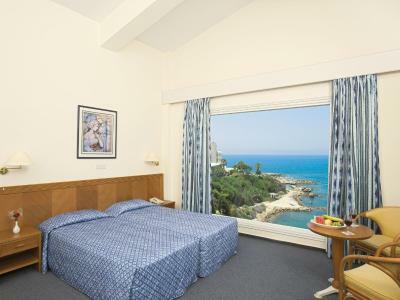 Lovely well appointed room with a sea view. Clean and spacious. The fruit platter and water on arrival in our room was very welcome. Modern and large room with nice see and garden view. Staff was always available to help. Facilities seems like gym and inner pool looks great but I did not make use of them. Good place to relax and breath good sea air. Beautiful surroundings...gardens. 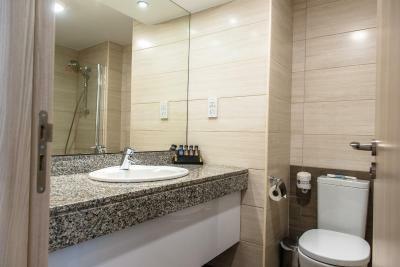 peaceful and quiet ...loved the relaxing scenery ...very friendly staff ...and excellent value for money ...would definitely go back again..
Reported a leak in the bathroom at reception early on in stay but it wasn't solved until the day I left. Location is just awesome, open the window and can hear the sea. 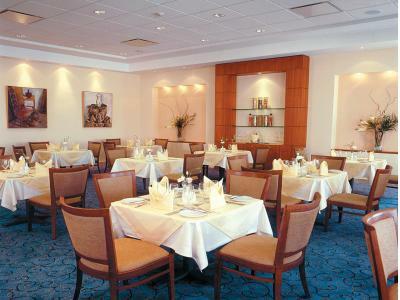 Rooms are new, food was great. Although I loved the location of the hotel, rest of the stuff seemed really undermotivated, they did the least to interact with quests in order to provide good service, especially in the breakfast area (no greetings or sth very essential). I'm used to interact especially while visiting Mediterranean countries, which are well known for their great hospitality and kindness. There were wide variety of different foods on the breakfast table, but they could do something with the taste, I didnt feel I'm eating Mediterranean food as it was blend, tasteless, noticed no taste of local herbs and everything what make the food taste like the heaven even in the simpliest taverna... 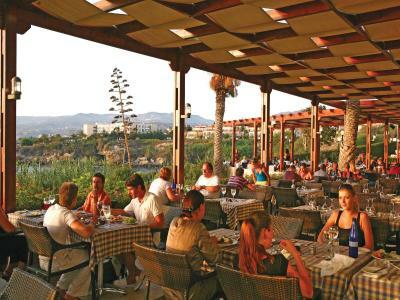 But there was great taverna (Doria) close to the hotel, visit it if you wanna taste real Mediterranean food and enjoy great service! NB! They have winter break from the November like many other shops and tavernas around, so the area feels quite sleepy then. We booked an All Inclusive option but would have liked to have been told that due to the number of guests they had scaled down the AI facilities. Breakfast and supper were in the restaurant however the lunch was served in the small cafe which an a la carte menu to choose from. 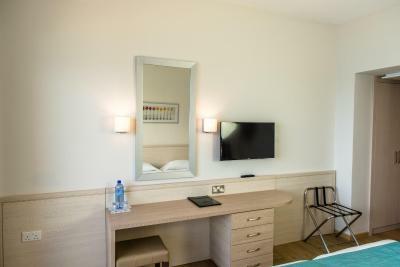 We would have preferred to have stayed on a B&B basis and eaten out as I do not think we benefited at all, especially when the hotel itself were doing an in house discounted rate to upgrade meal options. Room service could have been better. The breakfast choices were very british and there was not (much) chocolate options: no cocoa, no nutella or similar for breads (only once we had pancakes with nutella). The juices from the machine in the morning tasted not good so we only drank water then. Dinner could have started earlier (always started at 19:00). The hotel beach was great for snorkeling! The beachbar closeby supplied snacks and drinks. One evening there was a really awesome creamy chocolate cake. Prices at hotel bar especially during happy hour were good. Parking of rental car was easily possible at hotel and for free. The reception staff was always very helpful organizing our transfers and trips.